I have the worst luck. Back when it first launched I started playing Pathfinder: Kingmaker and was instantly drawn in by it’s fun, enjoyable, Baldur’s Gate like setup. At the time, I had a lot on the go and didn’t get the circle back right away. I was excited and determined to release a positive review though. After all, I was enjoying the game! Days and weeks went by and every time I logged on to Steam to get back into Pathfinder, the game was patching. It wasn’t usually just a hickup either but a decent sized patch. Okay, no big deal. I’ll get to it later. As time went on, I started getting concerned. Were the devs just that into their game that they were adding all these wonderful goodies? So I went in and checked out reviews and such on Steam. Things looked rocky for the launch of Pathfinder. That’s a shame. I really enjoyed the brief bit I played and it seemed really solid. But apparently there were bugs. That’s cool, it’ll get ironed out and it looks like this team has put together a great product I’m going to love! Over the past week or two I’ve been struggling to get the latest patch up to date. I finally managed to nearly complete that recently and I thought, “Today is going to be the day!” Today, isn’t the day. Today, the 24th, is the day of patch 1.2, which for me with a couple extra gigs for the last update, is a staggering 18 gigs. It’s so bitter sweet. I keep ending up updating this game. I mean, it sounds like it’s a good thing. Some commenters on Steam are noting save game issues and such. Maybe it is a game I should circle back to later on down the road anyway. There’s a solid game here. The intro alone had me in love and eager for more. But obviously, there are a lot of bumps in the road that other players have noted. So why am I writing this? I feel terrible that’s why! After falling behind on another review from the same PR team, I’d begged to be let in on Pathfinder. They obliged. But I haven’t been able to play it at all beyond the intro! Ironically, back when I was a kid I could never find the way out of Baldur’s Gate 2’s first dungeon for some stupid reason. So it’s a nice nostalgic flashback to have another intro I’m patiently waiting to proceed through someday down the road. What I’m saying is, keep an eye on this one. There is something special here. Despite the issues they’ve been having, they’re sticking with it. I can vouche for that at least at this current time. I can’t believe my abysmal luck. Still, it’ll be worth it obviously since the game has needed some updates as everyone else has been saying. After all, they’re not patching the game for no reason. So I’ll get this one on the go eventually. I’m certainly not slacking on trying to play it. 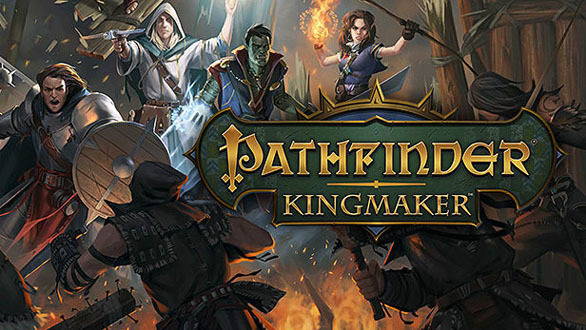 It’s just amazing that I seem to have a sixth sense for patch days when it comes to Pathfinder: Kingmaker.